Probably the stereotype image people have of a personal domain name, and the corresponding website, is that it will be very parochial, and of little consequence. Well, I hope that is not the case here, as the intention is to bring together elements of various websites I have created over the last fifteen years, some of which have a definite personal bias, and some are more technical, including such topics as software and our travels to Ascension Island. My very first website came about by accident as we were making a family visit to Ascension Island in 1997 and there was very little on the web about the island at that time. So I created a website with the pictures I had taken, and information I had gleaned whilst on the island, and an updated version of that original site. 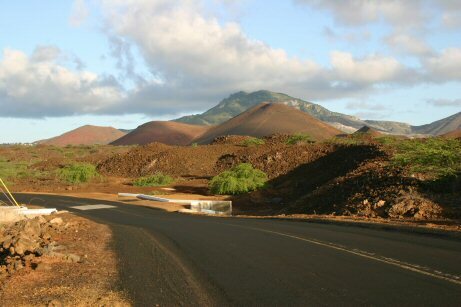 For good measure there is also now an account of our 2006/7 Ascension Island visit when it took us three days between check in at Brize Norton and final take off from Manchester, so one wonders if that is eligible for a Guinness record as the longest airport delay ever. Shortly after creating the original Ascension Island website in 1997 I went on to create, and launch, the website for the company I worked for at that time, and then many more since. As time permits other archived material will be added, including a theatre section which is gradually going to be fleshed out. As Christmas is approaching some of our favourite Xmas recipes have been added to the site here as the paper copies were getting a bit dog eared, and people were always asking for copies.